Today, 18th June is the anniversary of my parents marriage. 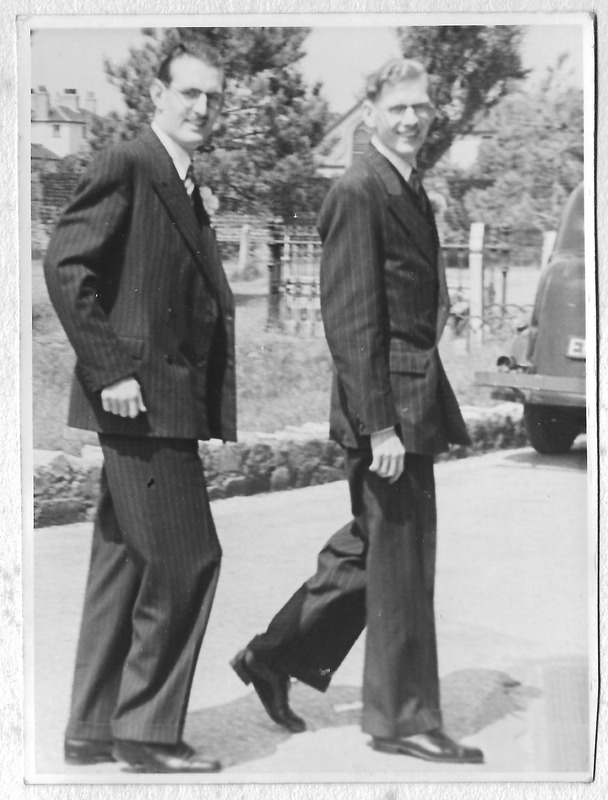 They were married in 1949. 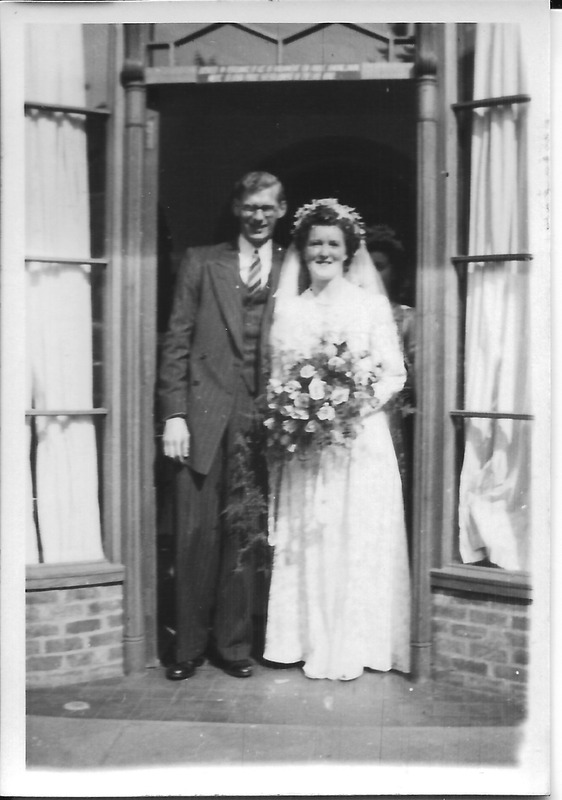 Here are some photographs of their wedding day. 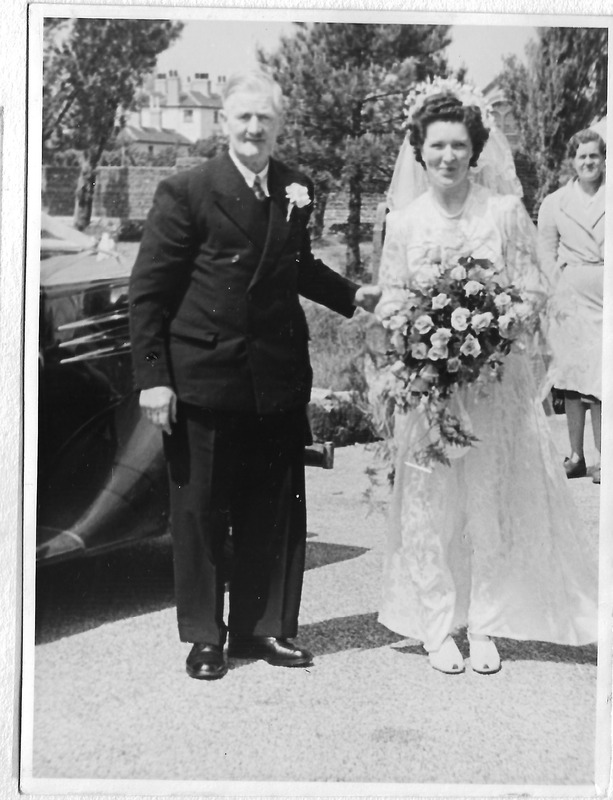 The photograph of Gordon and Enid Dinnis looks to be taken outside the reception venue, which is stated on the wedding invitations as ‘Streets’ restaurant. 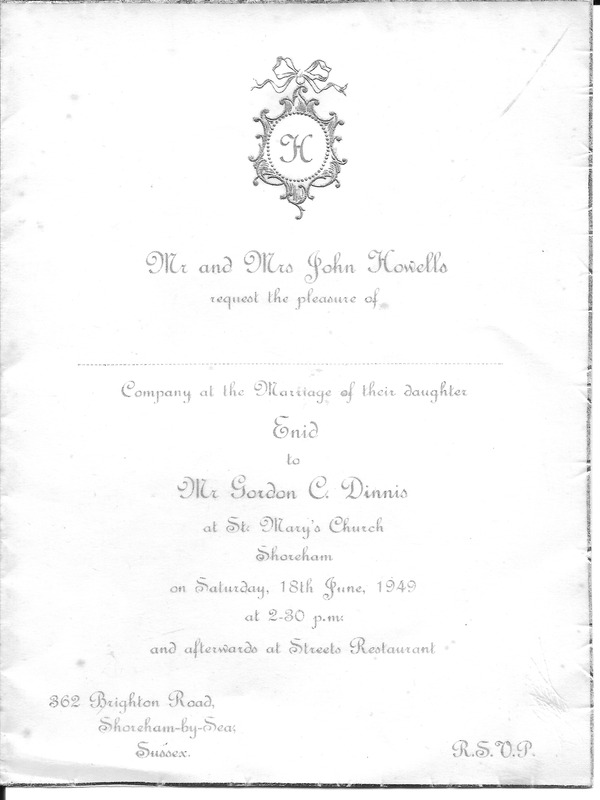 They married at St Mary de Haura church in Shoreham, very close to where the family lived, so I assume Streets restaurant was also very close at hand. I still haven’t been able to trace it, so if anyone here is familiar with Shoreham-by-Sea of the 1940s and recognises the name, then please leave a comment! 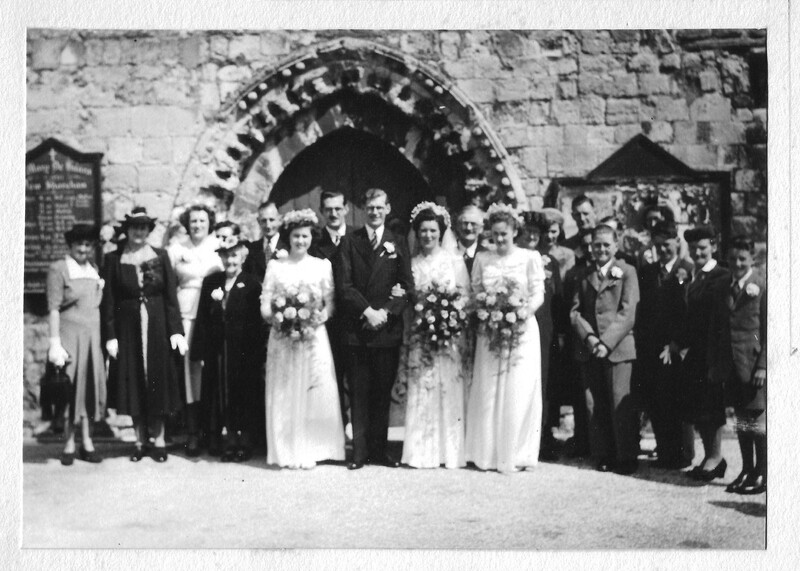 Gallery | This entry was posted in Annie Cleeve, Churches, Enid May Howells, Gordon Charles Dinnis, Jack Howells, Ronald Stanley Dinnis and tagged Shoreham-by-Sea, Streets, Wedding, Weddings. Bookmark the permalink. I suspected that “Street” would have been the surname of the family owning the restaurant, so I went to Ancestry and did a search of the old phone books for 1949. Sure enough, there was an “A.E.Street Ltd” listed as a baker and confectioner at 16 Brunswick Road, Shoreham – which is just around the corner and up the road from St Mary’s Church. I googled the address and 18-20 Brunswick Rd, is still home to bakers/confectioners, namely “Truffles”. About halfway down the page is an old advert for Streets, and someone has posted their memories of it too, which has the info I think you need! The address on the advert is 20 Brunswick Rd. Oh Jemma, you are truly amazing! I would NEVER have thought of ‘Street’ as being the surname of the family owning the restaurant! You’ve found out so much for me, thank you so much, I will be visiting Shoreham soon to see if I can find it.